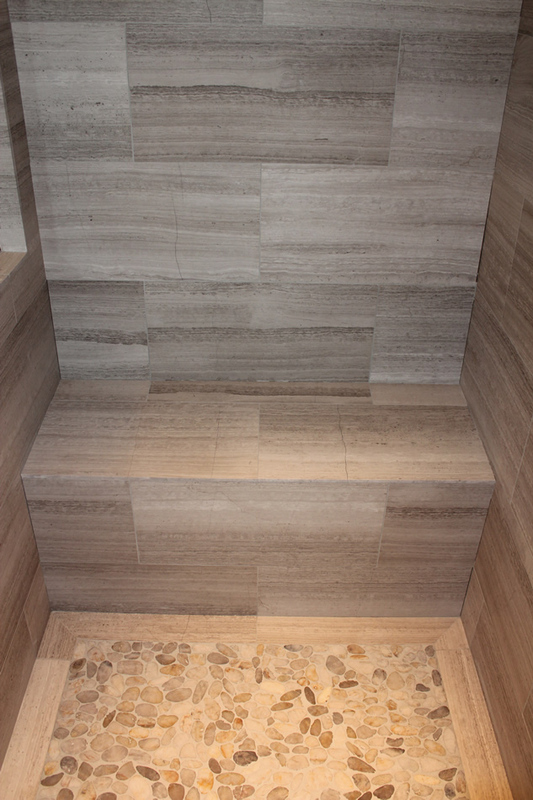 Now that you have your curb built and your pre-slope done (if you haven’t done this yet check out How to create a shower floor, Part 1) you are ready to install your waterproof liner. When you order or buy your liner you need to get one large enough for your shower. The liner you get has to be at least one additional foot larger than each of your measurements. For instance, if your shower floor is three feet by five feet your liner needs to be four feet by six feet. This allows enough to run the liner up the wall behind your backerboard six inches each way. You also want to purchase two “outside” corners for your curb. These are pre-formed corner pieces to waterproof the ends of your curb after you cut the liner. I usually order mine two feet larger in each direction. Six inches is the minimum. Specifications state that your liner must run up the wall at least three inches above your curb. So if your curb is three inches high your liner needs to run at least six inches up each wall. 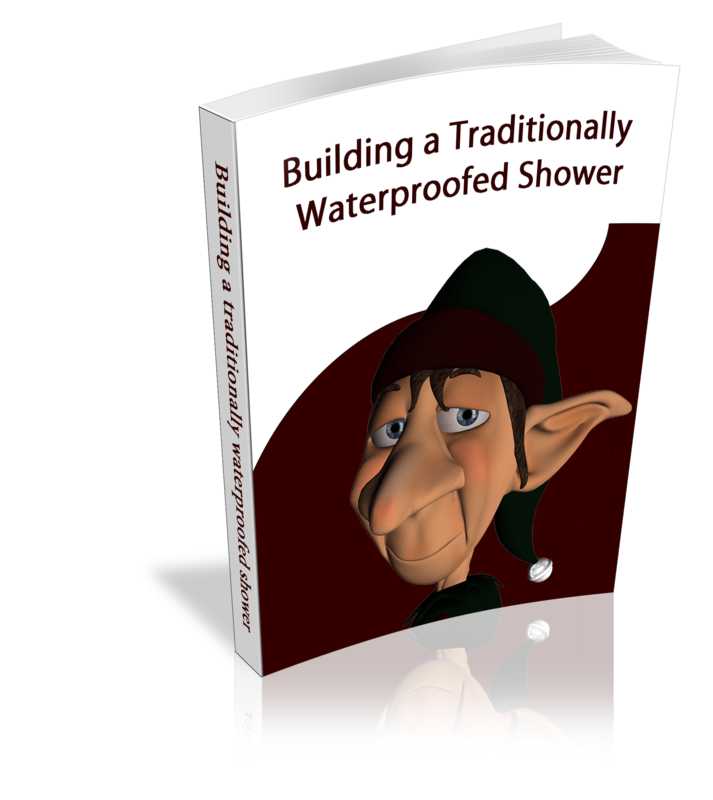 I usually go a foot above the curb – overbuilding your shower is rarely a bad thing.